Yossi Purec served in the IDF’s Special Forces Reconnaissance Battalions as a scout and later as a team Sgt. for the Battalions Counterterrorism team. Throughout his service, Yossi qualiﬁed and carried the IDF version of the X95 as well as the SAR and a number of other weapons systems. Yossi is still an active reservist in his unit. 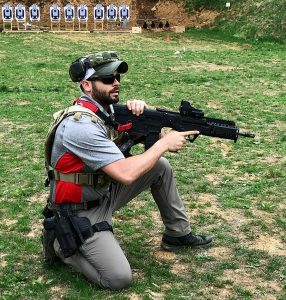 Today, he lives in Baltimore, MD with his family and is the Director and an instructor for the Tactical division of Masada Tactical, a Law Enforcement training company.